While there are plenty of books aiming to get individuals, Christian or not, to care for the earth, there aren't many instructing the church, as a body, about what she could be doing. 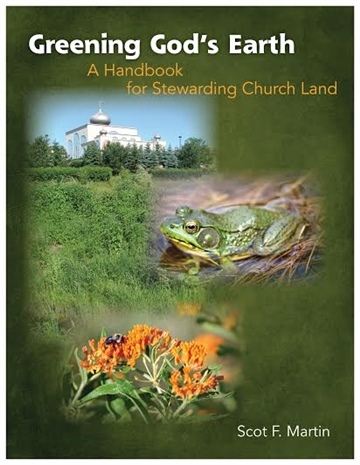 This short handbook offers rationale and examples of what your church can do to simultaneously steward its land and passively evangelize. What is your church doing with its land? Is it ready to greet the coming King with turf grass and a suburban landscape paradigm or is it working to honor God's creative natural processes?